One of the keys to our success is our dedicated work force. Many have over 30 years service. We are continuously upgrading our machinery to take advantage of technological improvements. Our fabrication department consists of CNC punch presses and CNC press brakes. 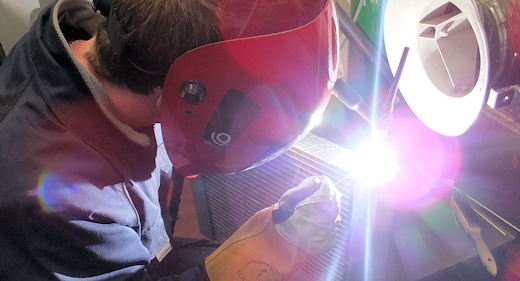 We have fully qualified and certified welders to work with aluminium, carbon steel, stainless steel and brass. Our Engineering Department are responsible for all equipment maintenance as well as the production of hard tooling for the many and varied stamping and press operations. The ability to produce our own unique tooling in-house is a massive advantage and one that we are rightly very proud off. Our core division has specialized fin machines and core assembly fixtures and all our cores are baked in conveyor and batch type ovens. These departments enable us to manufacture cores and complete heat exchangers to meet our customers unique requirements.